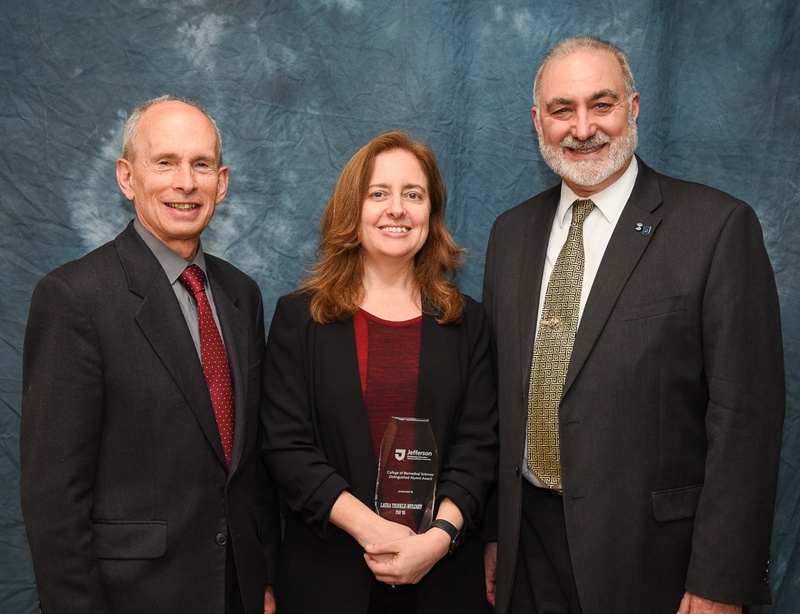 On April 20, Dr. Laura Trinkle-Mulcahy returned to the university where she finished Ph.D. in 1995 (Thomas Jefferson University, Philadelphia PA) to accept their Distinguished Alumnus Award. Dr. Trinkle-Mulcahy was also asked to sit on a panel to discuss “Achieving Success in Science: Exploring the Gender Gap”, and this panel discussion was followed by the award ceremony. The award was presented by the Dean of the College of Biomedical Sciences, Dr. Gerald Grunwald. 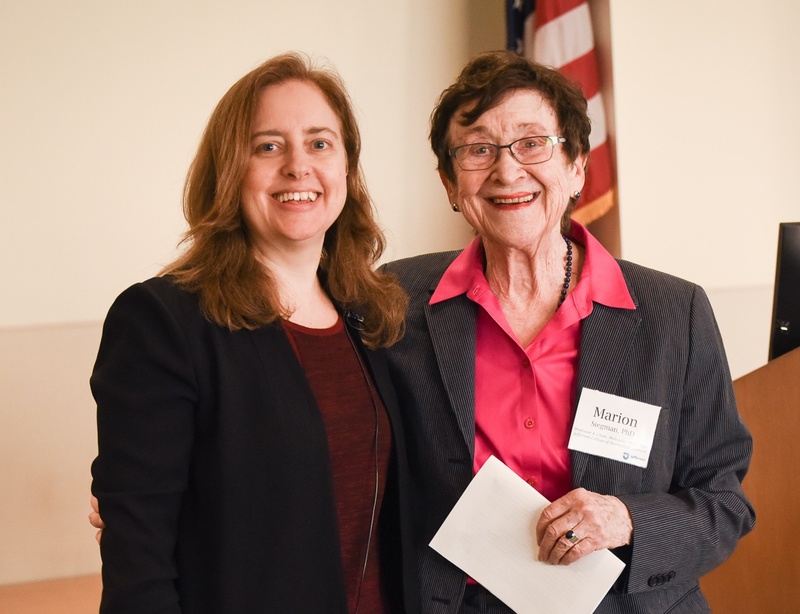 After a wonderful introduction by her PhD co-supervisor, Professor Marion Siegman (Dr. Thomas Butler was also in the audience), Dr. Trinkle-Mulcahy gave a 45 minute overview of her career in research, highlighting key choices that she made throughout and where she is now. A reception was held following the ceremony.